We are constantly working in the development of new products , as well as improving current processes. Since the first contacts with the different companies, IKERLAT Polymers has aided his customers in the development of new diagnostic kits. Due to the solid background and experience, IKERLAT Polymers can play a key role in all the projects that require the use of specific polymer particles. 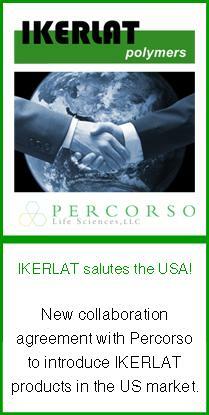 The aim of IKERLAT Polymers is to offer a personalized support, working together with the customer. Consortium: Companies, Technological Centers, Universities… IKERLAT Polymers has been participated in different projects of the Basque (Gaitek) and Spanish Governments (Petri, CDTI, Torres Quevedo). IKERLAT Polymers provides their products to renowned universities and technological centers all over the world. If you are interested in our products or looking for a new product and you need a quotation, please contact us.